After beautiful activites in and around the JUFA Hotel body and soul is looking forward to revitalizing! The lunch and dinner buffett in the JUFA Hotels offers varied local delicacies. A changing selection of fresh salad variations as well as oil and vinegar sorts are offered. Various tasty sundries of the delicious main course with different supplements offer a lot of alternation. A delicious main course and different supplements let stir the vegetarians' blood. A creamy potato soup enriched with a spoon full of croutons warms your stomach at the beginning. The salad bar gives you freshness and diversity. Not only vegetarians delight in the delicacies of the main course. Finally, don’t miss a tasty candy! With our Lunch/Dinner buffet EXTRA you have an even bigger choice in selected JUFA Hotels*! Lassen Sie sich im JUFA Hotel Pöllau – Bio-Landerlebnis verwöhnen und genießen Sie Naturküche-Gerichte mit Pfiff – frisch gekocht und mit Blick auf regionale Herkunft. 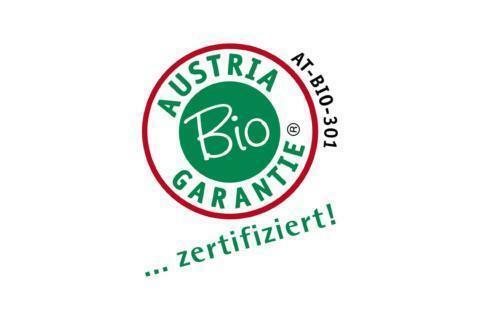 Durch regelmäßige Prüfung unseres Bio-Teilsortiments durch die Austria Bio Garantie wird höchste Qualität gewährt. Ebenso kann das Hotel mit der Grünen Küche aufwarten. 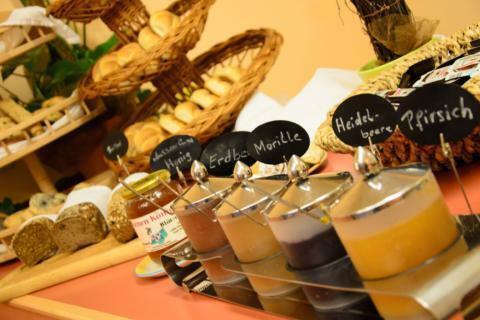 With our fresh, healthy and hearty breakfast buffet you can perfectly start an eventful day in your JUFA Hotel. Of course we do have a list of ingrediences for all allergy sufferers! Im interested in the offer "Lunch & Dinner at JUFA" in the .